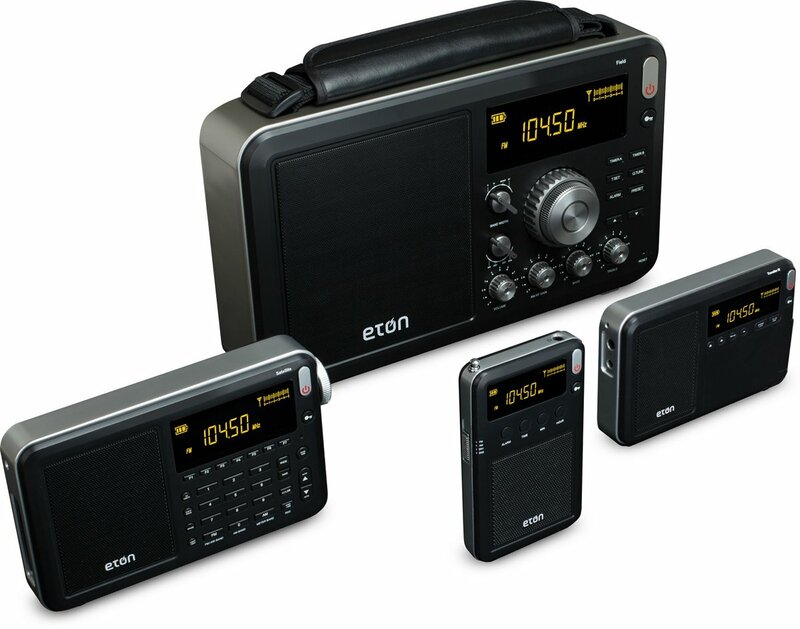 [Etón is] showing off 2 other models all under the label of the World Travel Radios at CES. 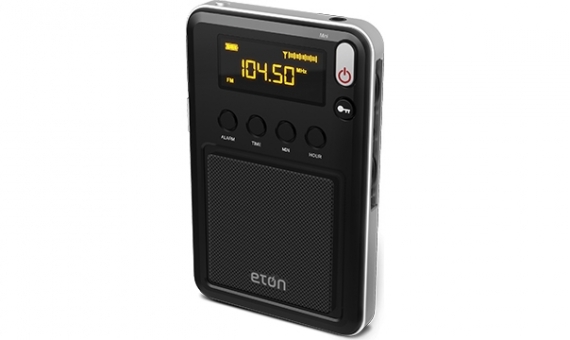 Etón Mini – This compact radio gives you access to news and music from across the globe, right in your pocket, whether on an AM, FM or Shortwave frequency. The Mini’s built-in digital tuner and internal and telescoping antennas easily identify stations, which can be viewed on the high-contrast digital display. The radio also features an alarm clock, sleep timer and earphone jack. Perfect to listen to the radio broadcast at your favorite sporting events. 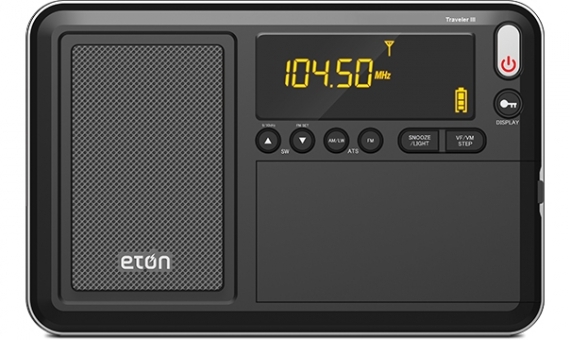 Etón Traveler III – The Etón Traveler III receives a multitude of radio wavelengths – AM(MW), FM with RDS, Longwave and Shortwave. Providing four options to tune the radio including auto, manual and Auto Tuning Storage (ATS), the Etón Traveler III also boasts internal and telescoping antennas to ensure your reception is clear and crisp. The Etón Traveler III can store up to 500 stations in the memory and the rich, orange LCD display allows you to see temperature and time. The perfect travel companion, the Traveler III also features an alarm clock and sleep timer. Traveler III will most likely become a part of my portable collection. I loved the Traveler II as it had great overall performance on all bands and was very compact for travel. As a (major!) bonus, the Traveler III has RDS. This entry was posted in New Products, News, Radios, Shortwave Radio and tagged Etón, Etón Mini, Etón Mini 400, Eton Traveler III, Grundig on January 6, 2014 by Thomas. I want your product in India.please help me.